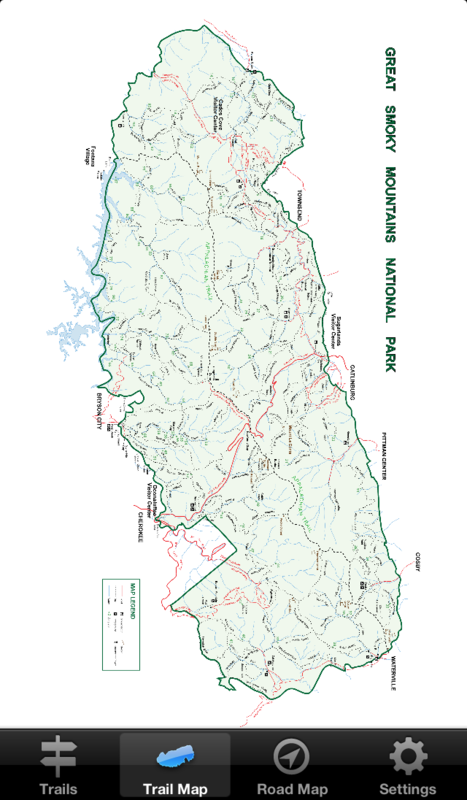 Trail map of the Great Smoky Mountains National Park that highlights your selected trail in the Smokies. 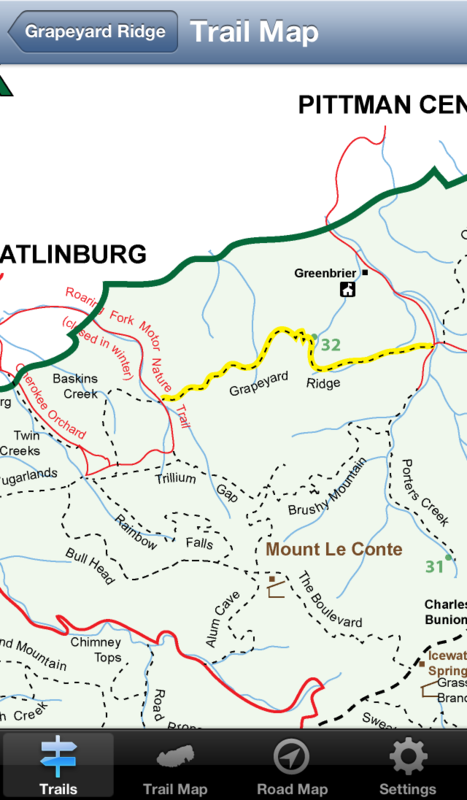 Road map that shows your location in relation to the park entrances and trailheads. 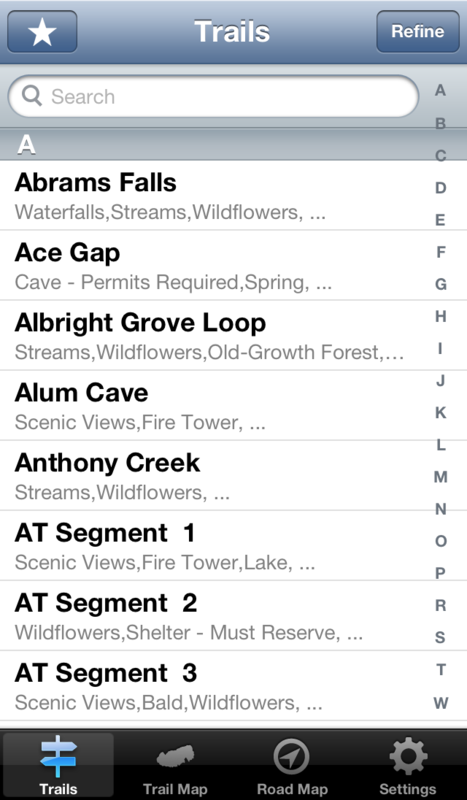 A complete alphabetical listing of all the hiking trails in the park. 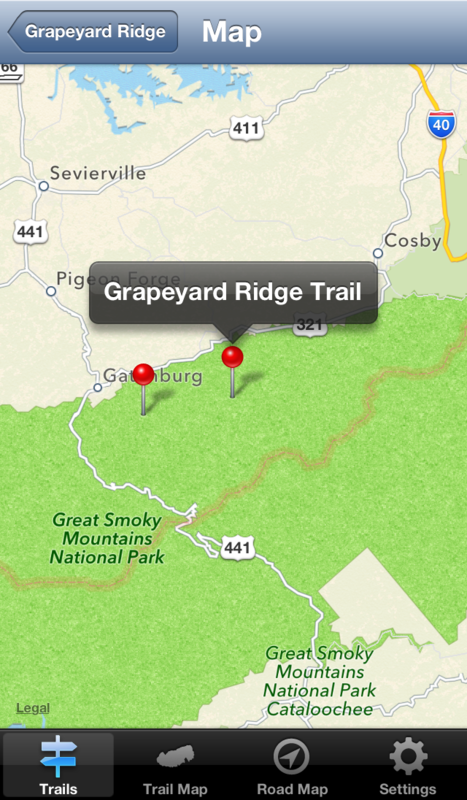 An advanced search that refines the trails by features and length. 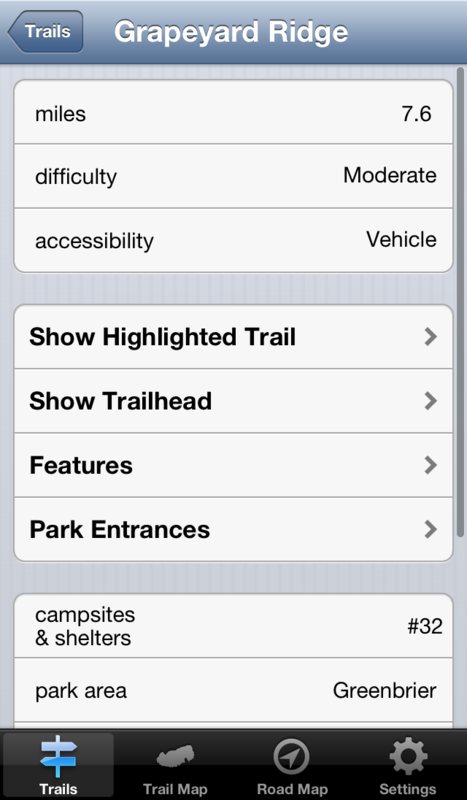 Ability to save your favorite trails for your own custom trail guide.